I enjoy sharing a small gift with a friend or family member to let them know I’m thinking of them. With this being breast cancer awareness month, I have girl power on the brain and wanted to share an easy DIY notepad with a couple of my girlfriends to let them know I care about them. 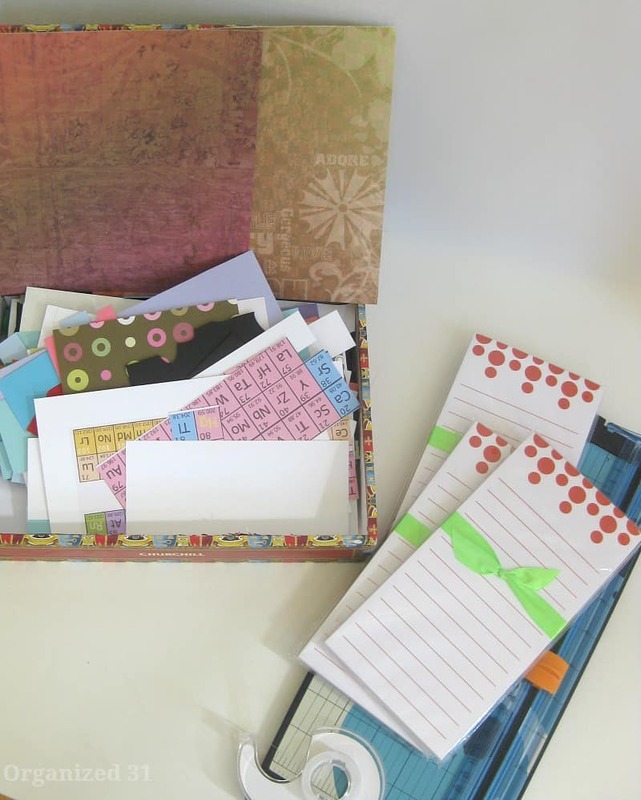 You can make these 3 notebooks in about 15 minutes (and that includes looking for the paper cutter that your children didn’t put back). I like to make several at a time so that I have a stash of small gifts ready when I need them. 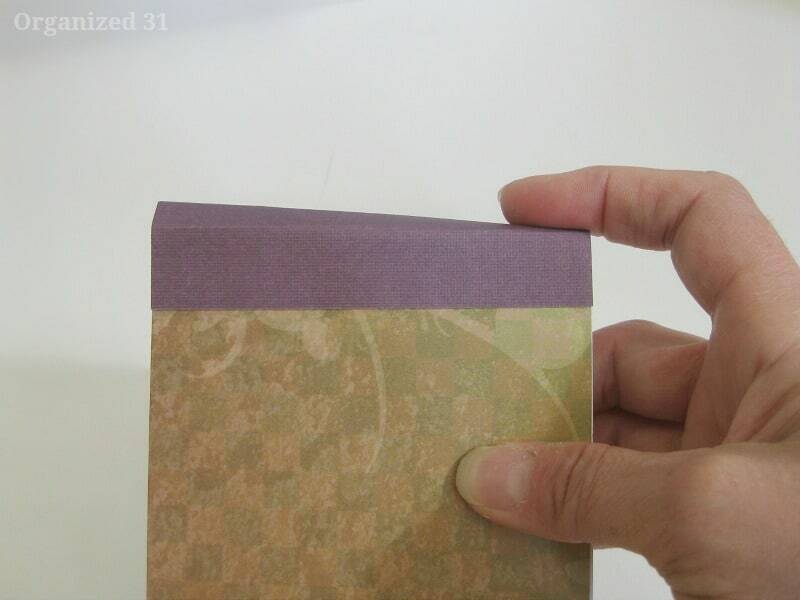 Cut your decorative paper the size of your pad of paper. Cut a coordinating color of card stock to make a binding at the top of the cover. I don’t measure, I just eyeball it. 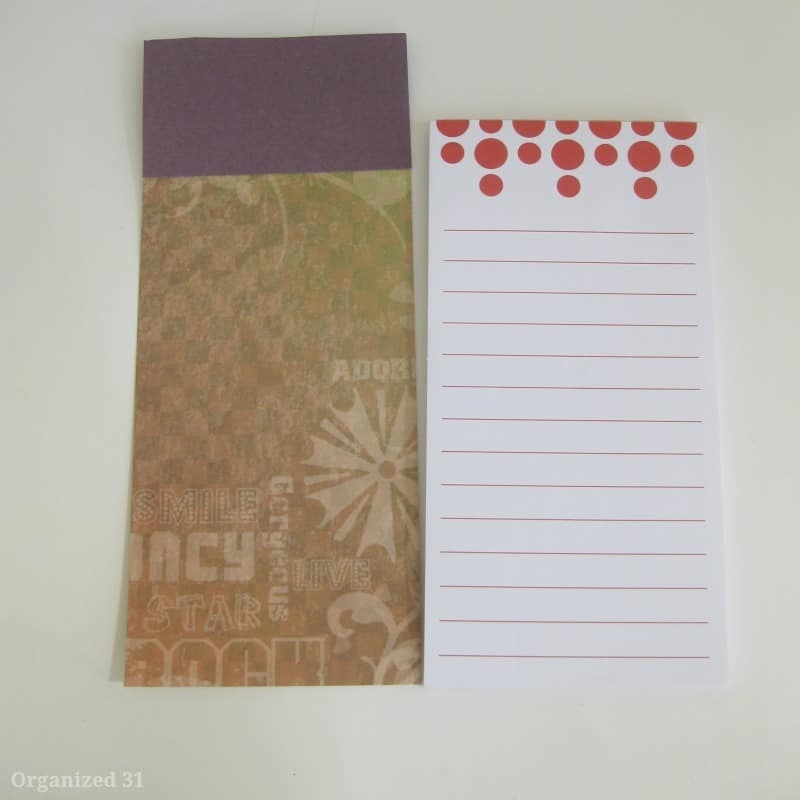 Using double-stick tape, attach the binding to the cover, crease it on the top of the notepad and then attach it to the back of the pad with double-stick tape. 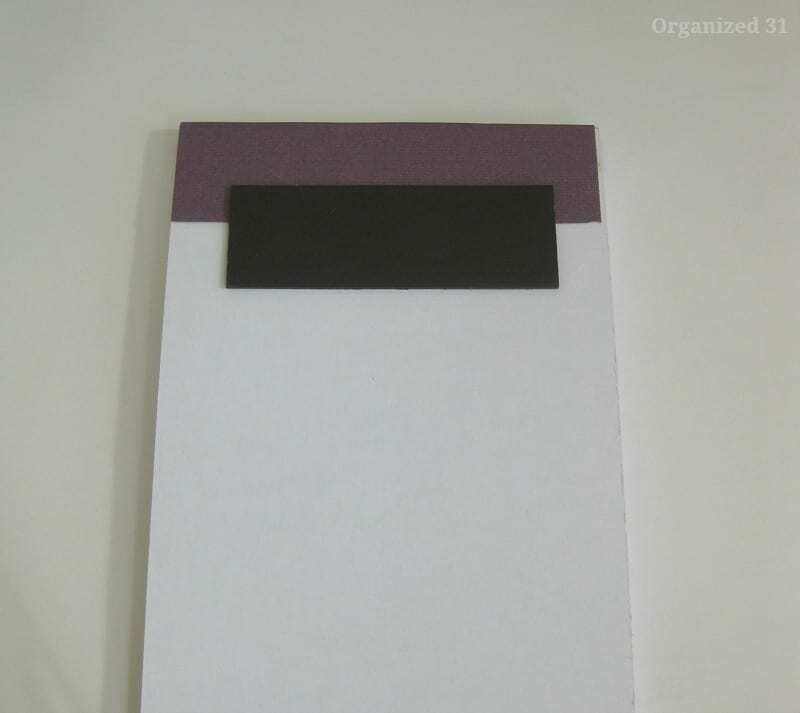 attach the magnetic strip to the back of the notepad with double-stick tape or hot glue. Add accent paper and a saying to the cover. 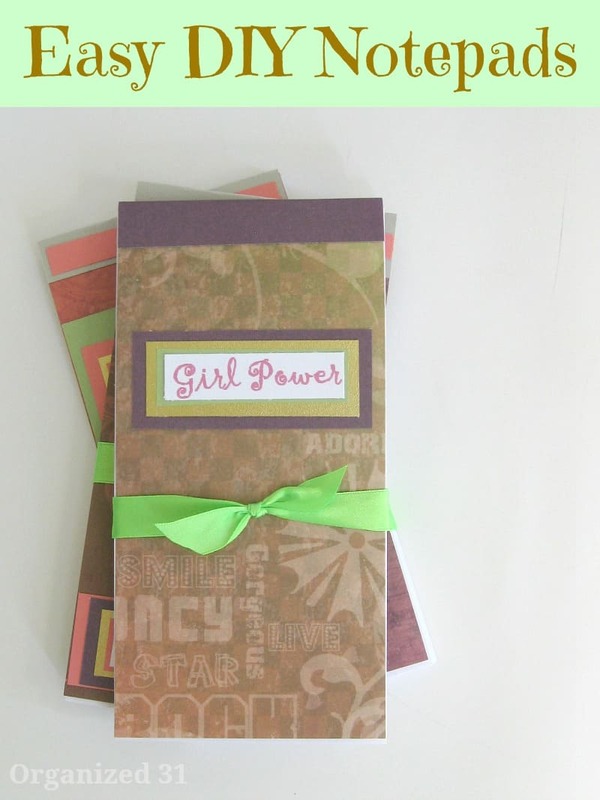 I simply printed “girl power” onto card stock using Word. 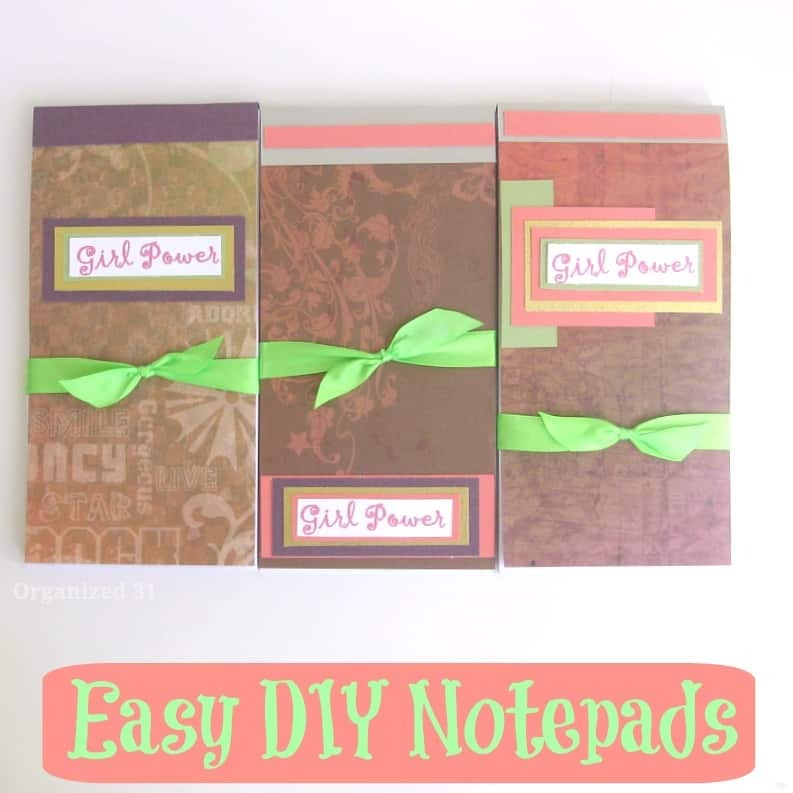 Who do you know that you could make an easy diy notepad for? Since this is breast cancer awareness month, make several and give them to the women you care for in your life. Such a great project and I love that it is quick and easy. Also love that I have one right here on my desk! Thanks my friend. Glad you’ve enjoyed the notebook, my friend. Nice…I’ll have to try this! Good stocking stuffers too! Rebecca, why didn’t I think of that?! Thanks for the great idea. Thanks, Beth. I hope she enjoys making and giving these little notepads as much as I do. These are really cute! I going to have to make some of these to keep on hand incase I need a quick cute gift. Bet the grandkids would love these one too, I could decorate it just for them. Like my oldest granddaughter collects owl. Thanks for sharing! Pinning to my Paper Craft Board! Thanks, Linda An owl notepad sounds adorable!